Here is my entry for Weekly Travel Theme: Decadent. 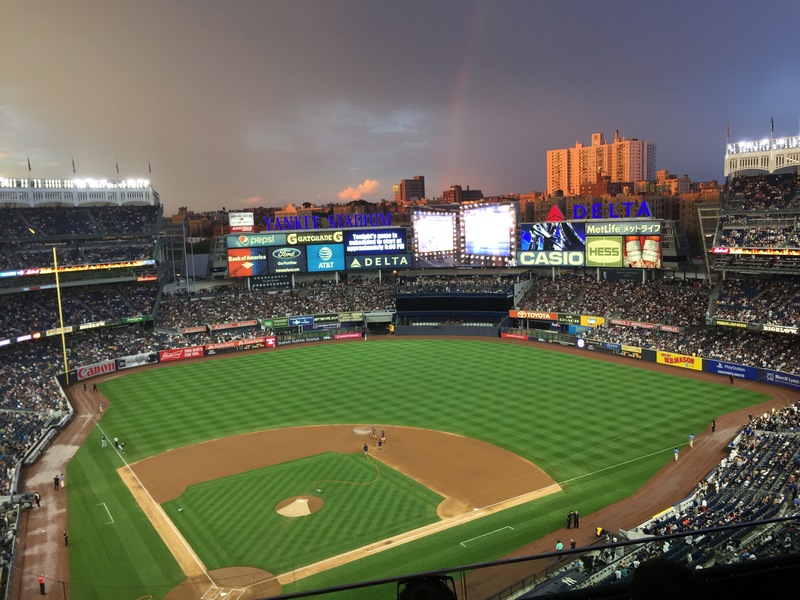 I consider being able to not only witness Alex “A-Rod” Rodriguez’s last game as a Yankee (player) firsthand, but also seeing the storm that occurred at the beginning of the game turn into a gorgeous rainbow AND witness the Yankees win (all during my very first time at Yankees Stadium) to be decadence. As a huge Yankees fan, the smile on my face never left from the moment I spotted the stadium when we got off the subway, even when it was pouring rain.